Filter Bottle Replacement Cartridge - 2 Pack is rated 3.9 out of 5 by 9. 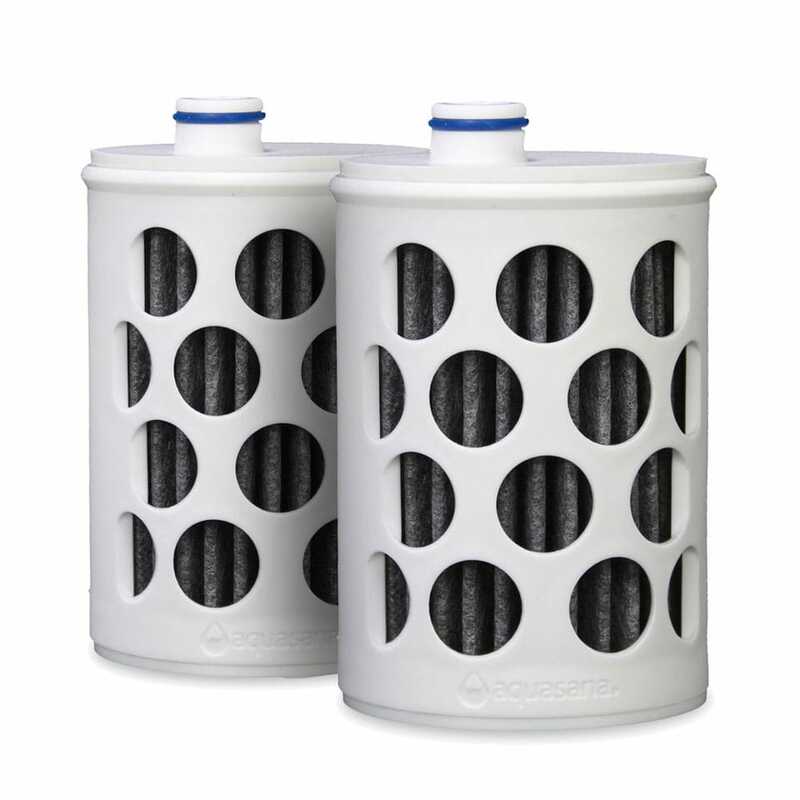 2-Pack of replacement filters for the Aquasana Filter Bottle. Each filter lasts for 80 gallons. Rated 5 out of 5 by Apapoolgod of San Diego from Good product. Easy to replace filter. New filters work well. Bottle design is nice. Nice to have clean drinkable water. Rated 5 out of 5 by Jeanny from Simple to Use The filters arrived in its own package with each filter wrapped in plastic. It is simple to assemble, and the water filtering through tastes good. Believe me, I dared to taste the water from my faucet, and it was not pleasant. Rated 5 out of 5 by cmoore107 from Super Easy- Clean Water Bought my bottles and signed up for the replacement cartridge. First ones arrived are were super easy to install. I love my water bottles and use them daily at work. I would totally recommend these to anyone. Rated 5 out of 5 by Shopper54 from Filter works as described. The issue with the filter falling out by the slightly bump seemed to have been corrected. I have tested the filter in the bottle by shaking and bumping down solidly and the filter did not come out. Great fix. 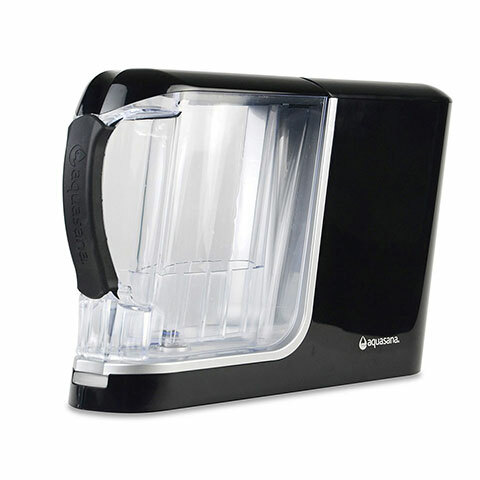 Rated 5 out of 5 by rw107141 from Great taste I am using the water bottle filters from my first auto shipment. I enjoy the taste of the water through them. The good taste has increased my average daily water consumption by 30%. Rated 4 out of 5 by msmiles from Life saver Since I live in an area badly damaged by Hurricane Irma, I am relieved to have my three Aquasana products. While everyone else is boiling water and carrying bottles from the market, I am happily drinking and using the pure water from my filter products. I sure hope Aquasana's research and assurances are accurate! 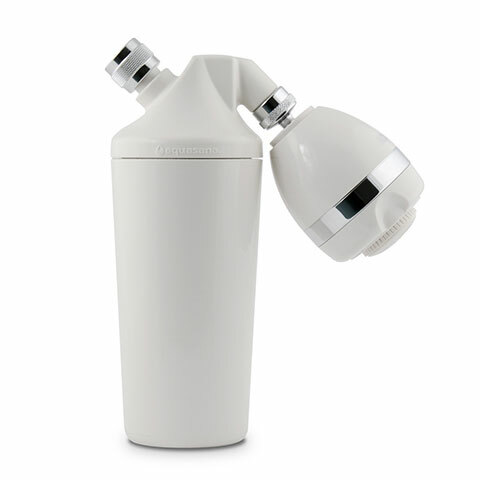 Rated 4 out of 5 by Kate from Great water, could use some improvement I bought the water filtration system (countertop version) about 2 months ago and overall am Very Happy. 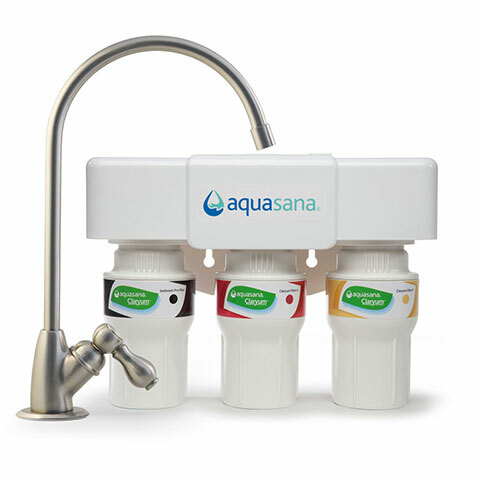 Water tastes SO Much better using this system. A few improvements would make this system perfect: the filter system is a little noisy when it filters the water (the benefit of Brita is the silent filtering); the filter in the water bottle sometimes falls out; it is awkward to refill the bottle because one has to hold the filter and the cap while filling the bottle (the benefit of Brita is the filter and cap are lighter); and there appears to be a disconnect between the app and the actual filter usage rate. Rated 1 out of 5 by Nini from Unwieldy I find the bottles very difficult to drink from. The idea is great. I just wish it was easier to drink from. Rated 1 out of 5 by Ali312 from Both water bottles leak when drinking! I bought this a while ago for a summer cross country road trip. While the bottles are cute, they don't hold much water & more importantly they BOTH leak. They leak when tilting the bottles to drink. Not cool & defeats the purpose of having a water bottle when so much of it leaks on you. Could you please tell me does this filter out Fluoride ? How to know that my bottle requires a filter change and however to change that filter? Do you deliver that filter to India too? What will be the delivery charges? How do you opt out of the automatic shipments? Thanks. Please call 866.662.6885 or e-mil WFL@aquasana.com to cancel your enrollment in the program. 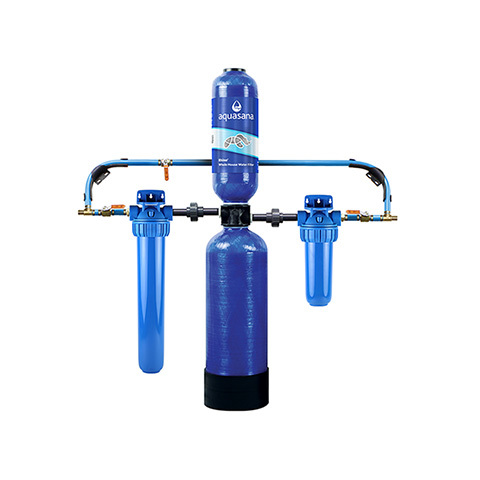 how do you care for the individual water filters in between use? I purchased replacement filters ahead of time, so I would have them handy when I needed them. The one I took out has one ring &nbsp;and the new ones I purchased have 2 rings. They wont snap in place, since they are too long? How do I order the correct ones? What exactly does it filter?